I set off with Dia:Beacon as my destination. Dia:Beacon is a huge contemporary art museum housed in a former Nabisco cookie box printing plant in Beacon, NY. 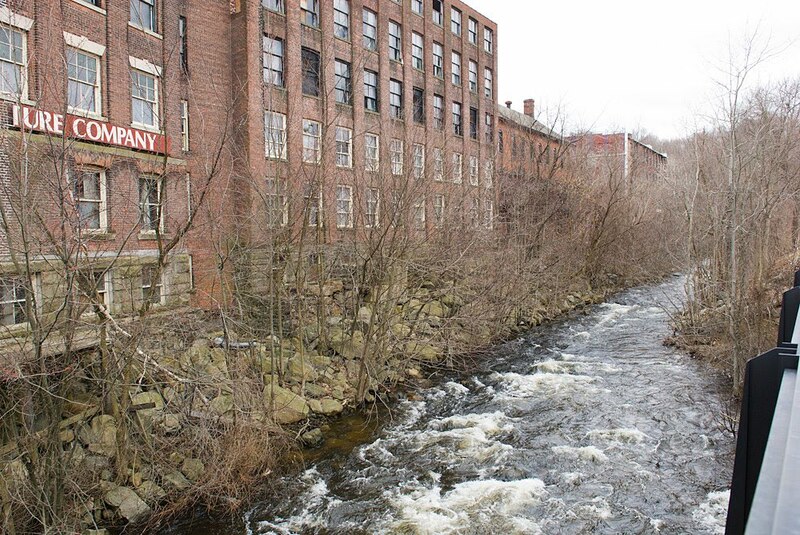 The institution has anchored the economic rebound of the once thriving industrial town. On my way, I stopped in Winsted, CT for a snack. I noted many empty mill buildings, signs of former manufacturing activity. 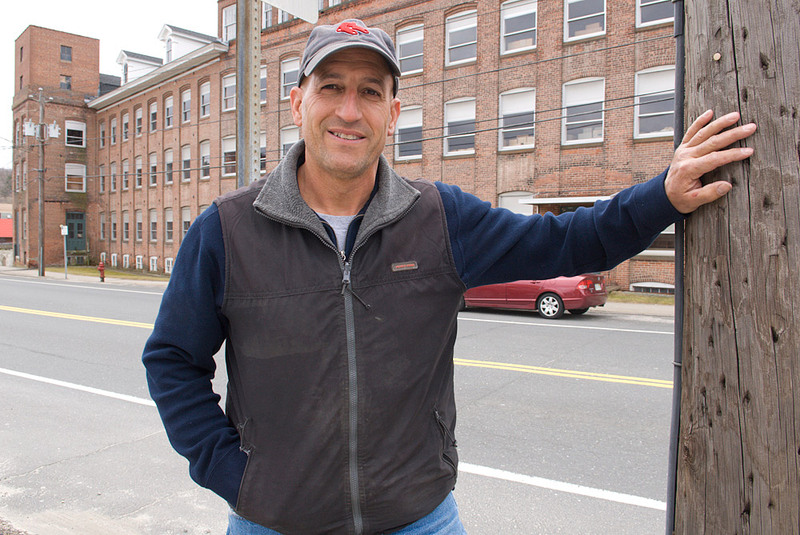 Learning that an artist had plans for massive 3D mural in Winsted depicting US industrial history, I wondered how an arts centered creative economy could impact Winsted. 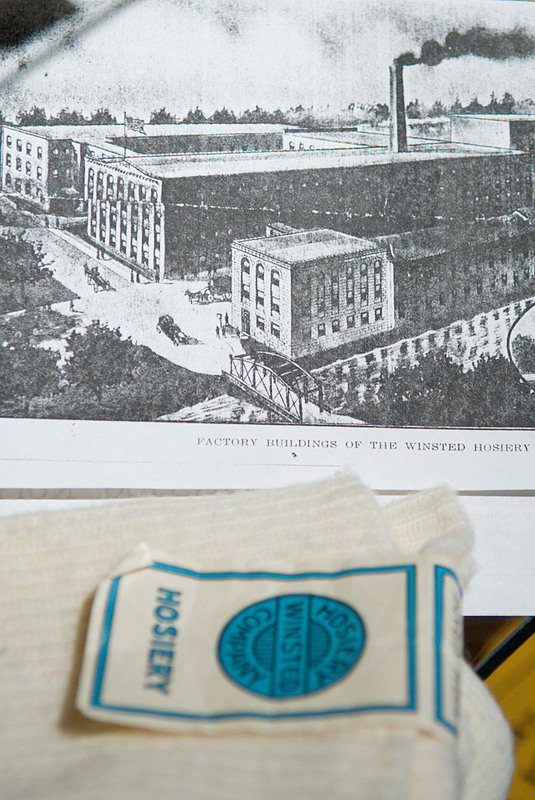 Pins, clocks, socks, blenders, toasters, scythes, silk, wire, coffin hardware, ribbon candy, hoes and more, were all manufactured in Winsted. Bob Moore's real estate office is on Main Street. His business is going strong as Connecticut and New York families tied to the sports schedules of their children eschew weekend/vacation homes on distant Cape Cod and instead buy properties situated on the area's lakes. However, as far as the town: "It is dying for a developer to come through and resurrect the dead." Behind Mr. Moore is a factory building owned by Ralph Nader, where the consumer advocate plans to establish The American Museum of Tort Law. 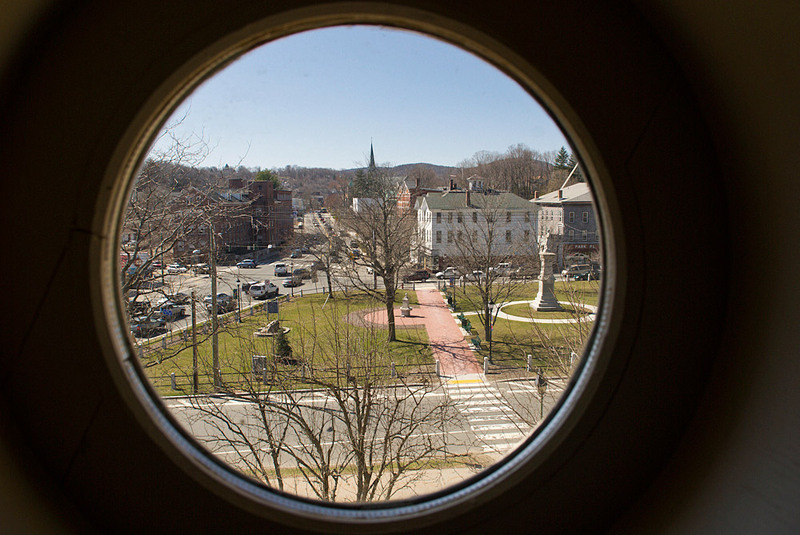 The institution may draw visitors to Winsted, Mr. Nader's home town. Milly Hudek runs The Historical Society in Winsted like a tight ship. These socks on display were made at the Winsted Hosiery Company, the smokestacked mill in the photograph. The building exteriors look much the same then as now. Inside is a different story. 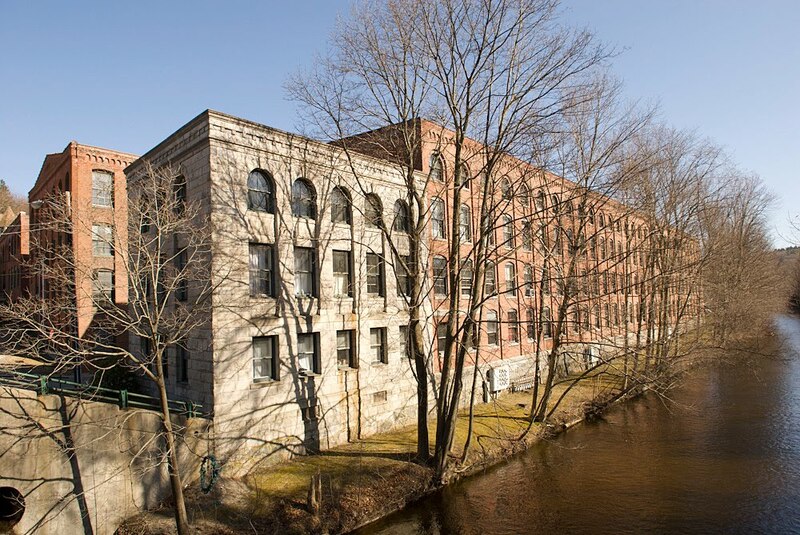 Though a lingering smell of machine oil evokes industrial days, the former site of the Winsted Hosiery Company houses artist studios and small businesses. Visual artist, painter and teacher Gay Schempp notes the "odd smells, fabulous light and cheap rent. The pros outweigh the cons." She is a member of The Artists @ Whiting Mills. From the group's mission statement: "Our goal is to give members' work exposure and to enrich our community with our combined talents and skills." 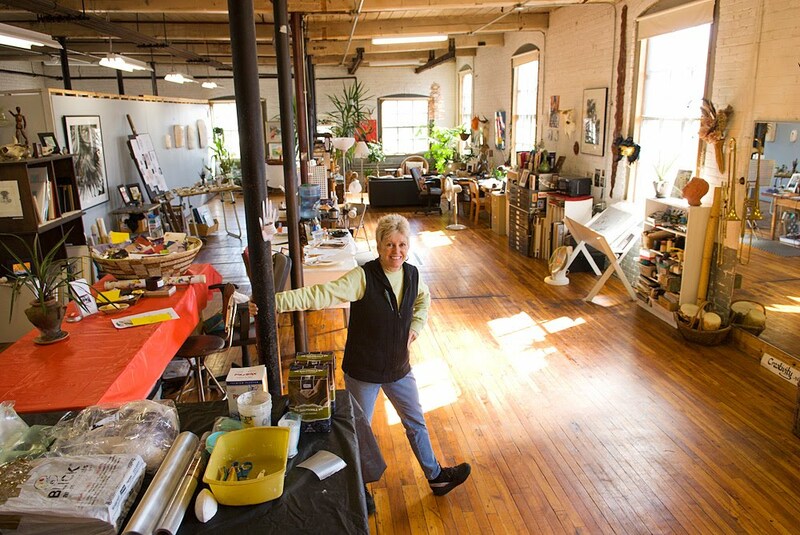 The building comes alive when the artists hold their open studios. The community college in town is expanding. Yet more needs to be done to fill the remaining mills and vacant Main Street store fronts with economic activity. The American Museum of Tort Law??!?! Is someone pulling your tripod? 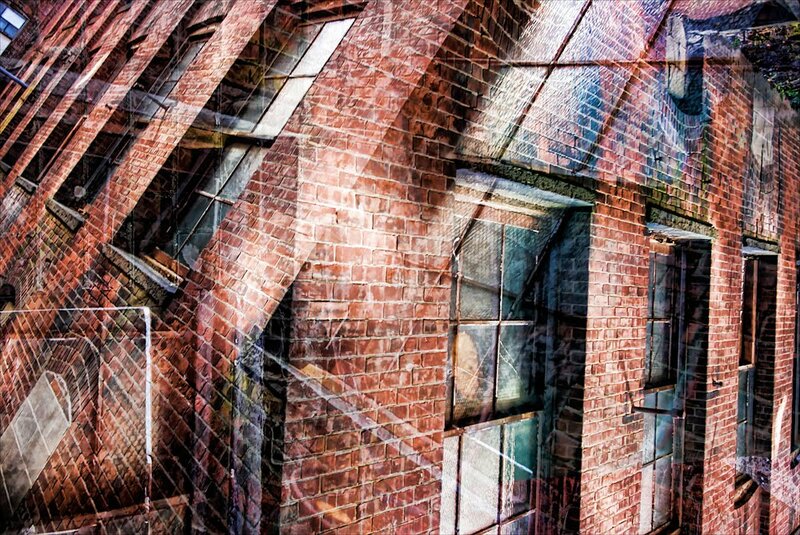 Gotta love artists and old mill towns- a perfect combination. I love looking at these old buildings when I drive through New England. I'm delighted that some of them are being re-used. A museum of tort law might be most informative. Especially like the last image in the series. My husband and I enjoyed your work when you photographed for the Christian Science Monitor, and I was delighted to re-discover you several months ago.